my 53 hollywood rear springs are sagging.instead of all the time money and labor to get them re-arched i am looking for a part number for air shocks. other people have said even after a re-arc they will settle back to where they were in the first place. thanks just looking to get the car level again. Have had air shocks on my '53 for a long time. Monroe # MA727 ;Advance Auto was:$70/pr. you can call Monroe if you like 734-384-7809. have valve below rear bumper to add air. Hi Richard, Thank you for taking the time for all your great posts and pictures. Has been very helpful to me. 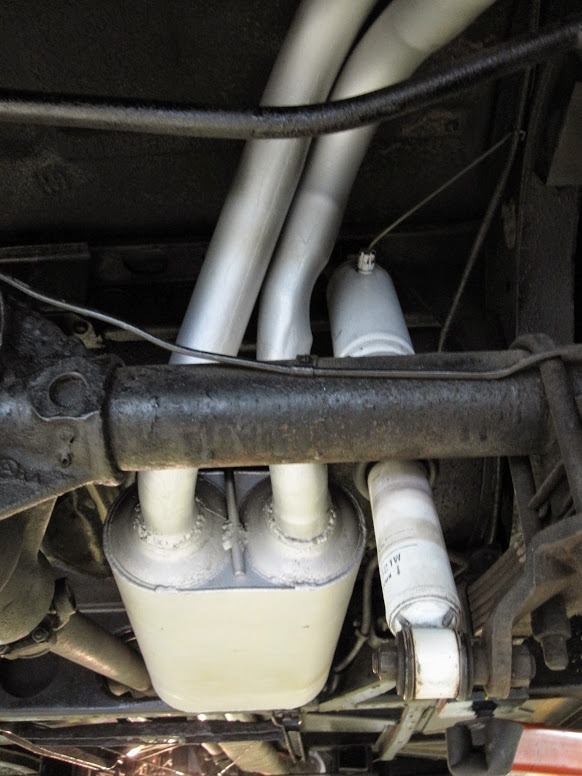 If you have pic of your dual exhaust system would love to see them. As far as I know Fred. Call the number. 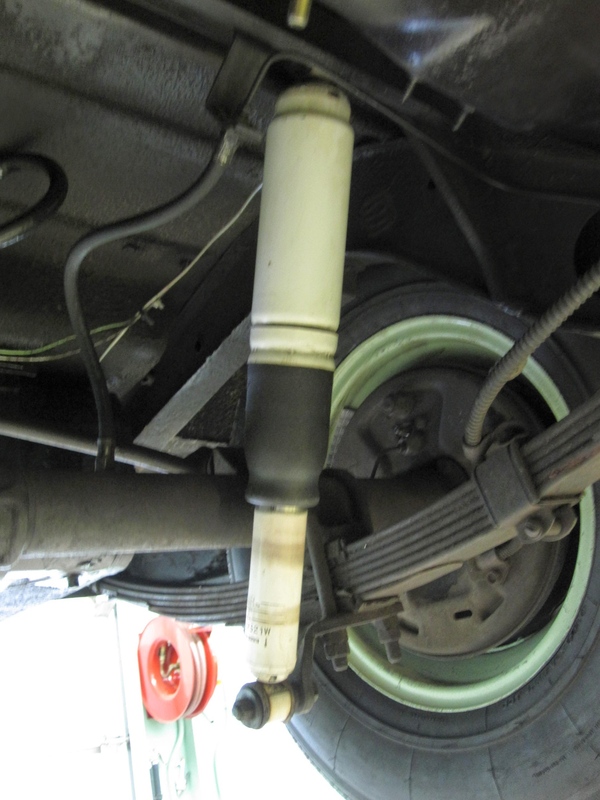 Can't say I know much about air shocks used on vehicles. Do you have to add air on occasion to maintain the pressure in the shocks much like car tires? It's a good practice to check the air pressure every once in a while as they can leak down.I know I have to add to my shocks even after checking and finding no leaks.